The gift card is ideal for birthdays, holidays, sweethearts, employee incentives and more! 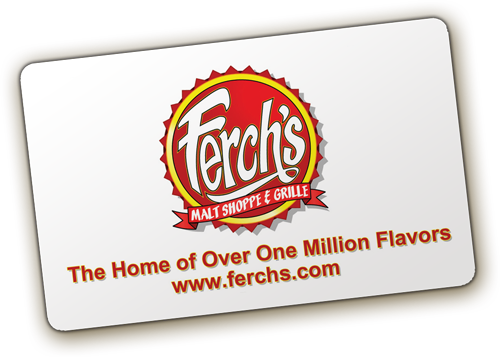 The FERCH'S Gift Card is a re-loadable card that may be purchased and redeemed at any of our participating locations. When you register you will automatically receive 25 points. Accumulate 50 points and automatically receive a $5 reward. Load $25 or more on your card and receive 10% in reward points.